SKU: 187. 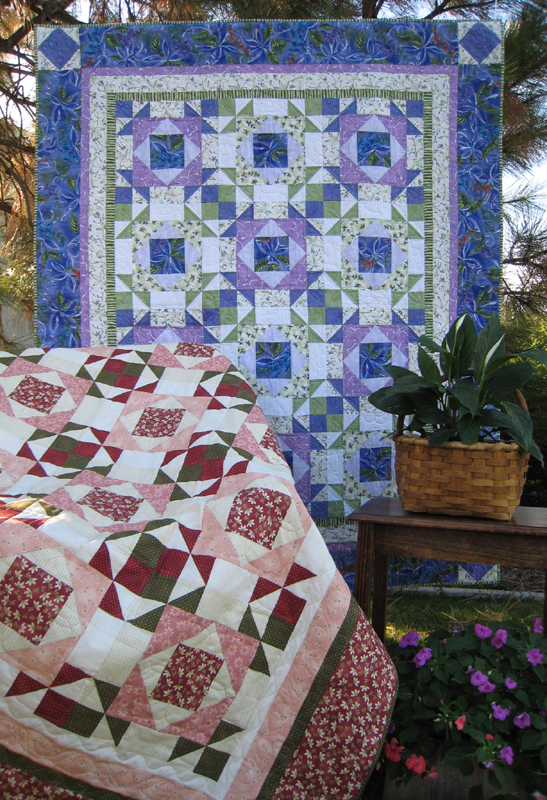 Category: Hexagon Quilts, All Patterns. 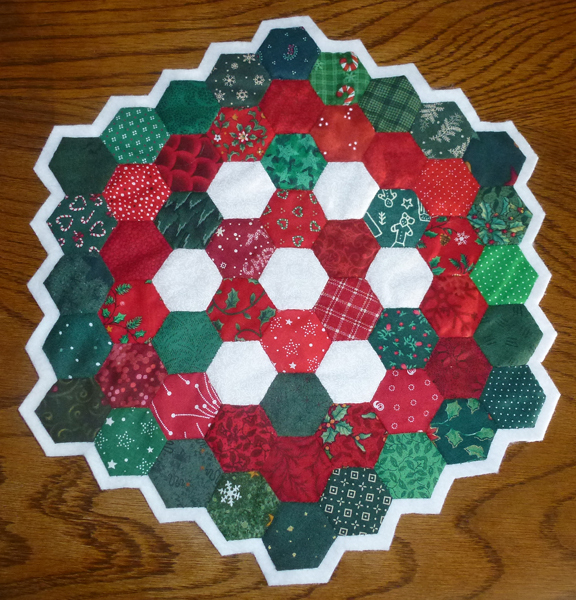 Tags: hand piecing, hexagon, pillow table mat, scrappy. 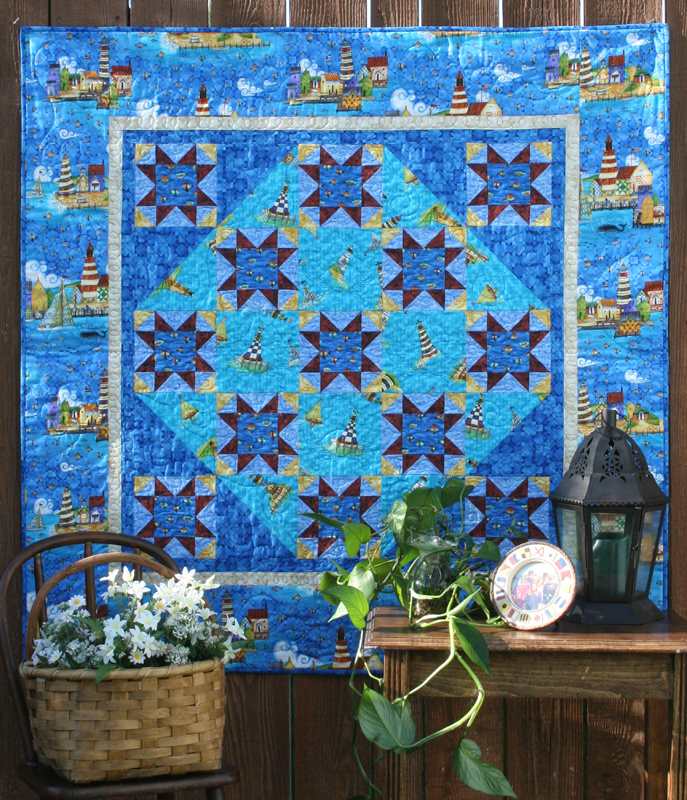 Making hexagons is a great way to learn hand piecing especially “on the go” as it’s a super portable quilting project. 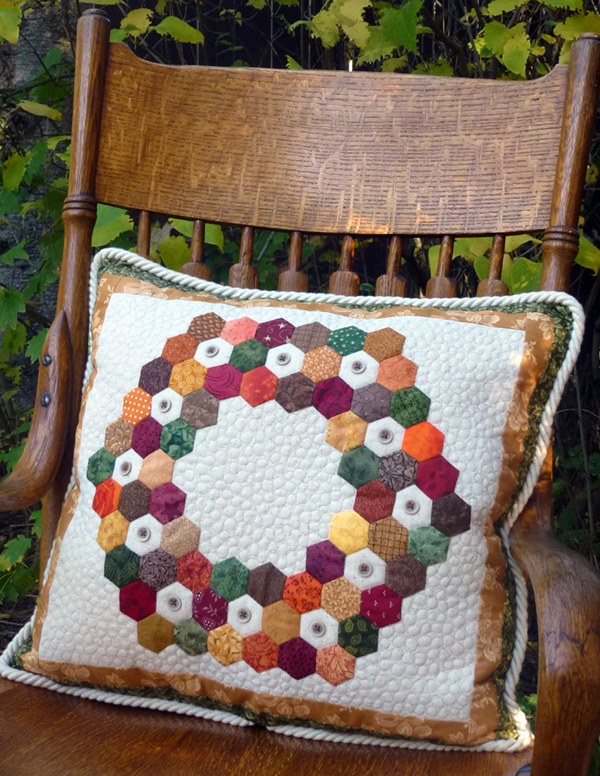 The pillow is a FUN scrappy hexagon project where you “leave” an open area (for a button) while making a circle of hexagons that is hand appliqued to the easily pieced pillow top. 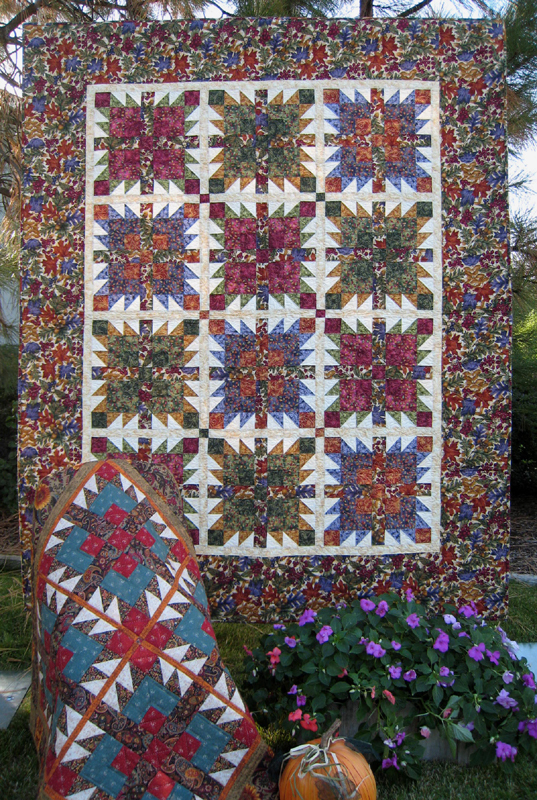 You can show off your machine quilting in the “open” areas of the pillow to add some dimension. The table mat is another scrappy hexagon project where your completed stitched hexagons are hand appliqued to a wool felt base, and then hand or machine quilted.